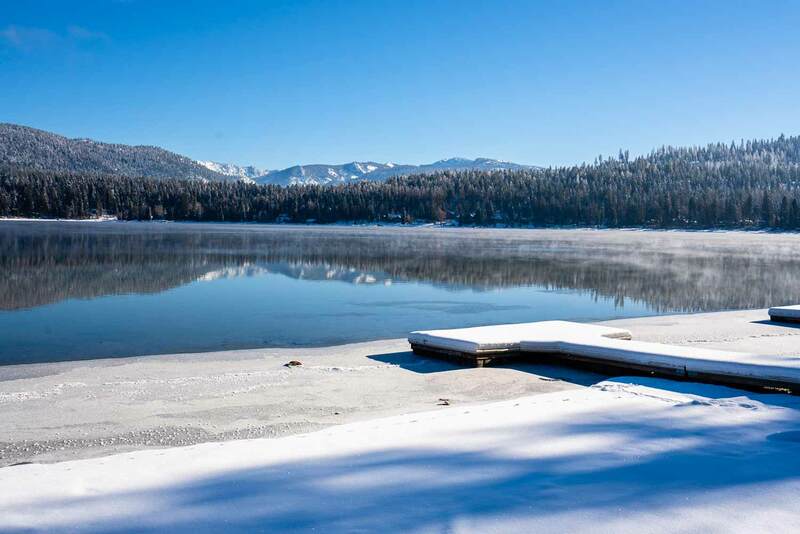 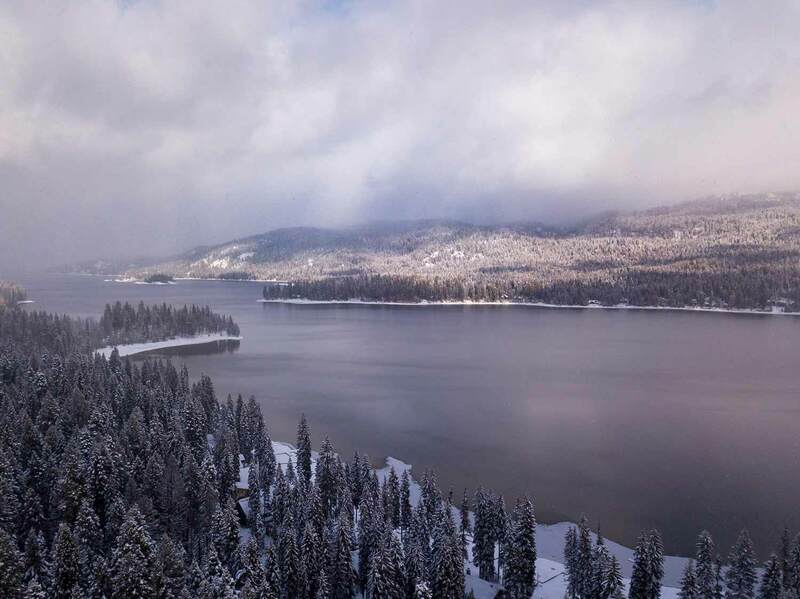 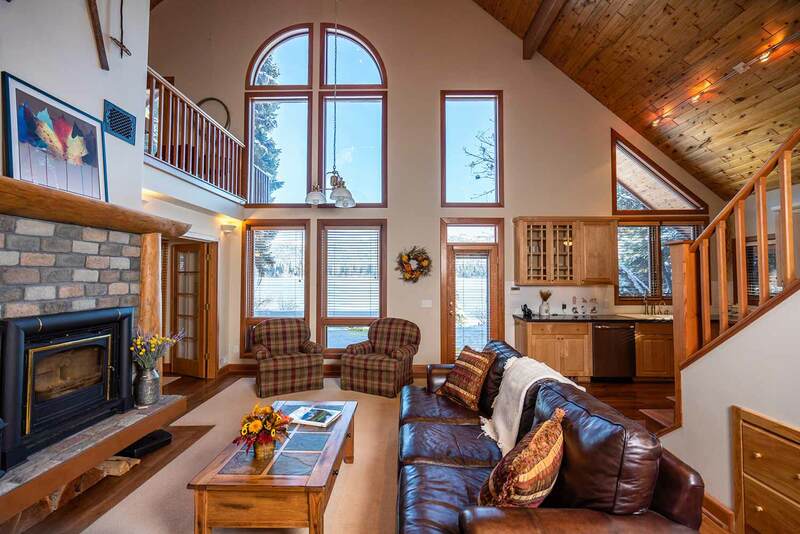 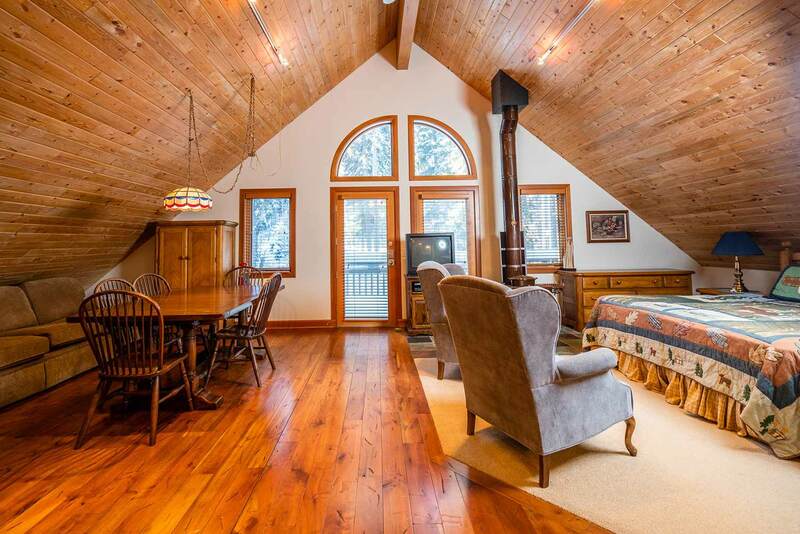 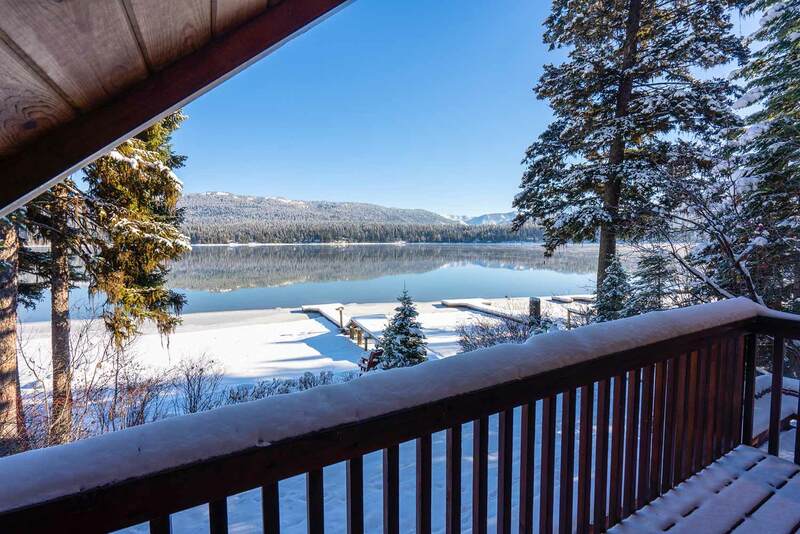 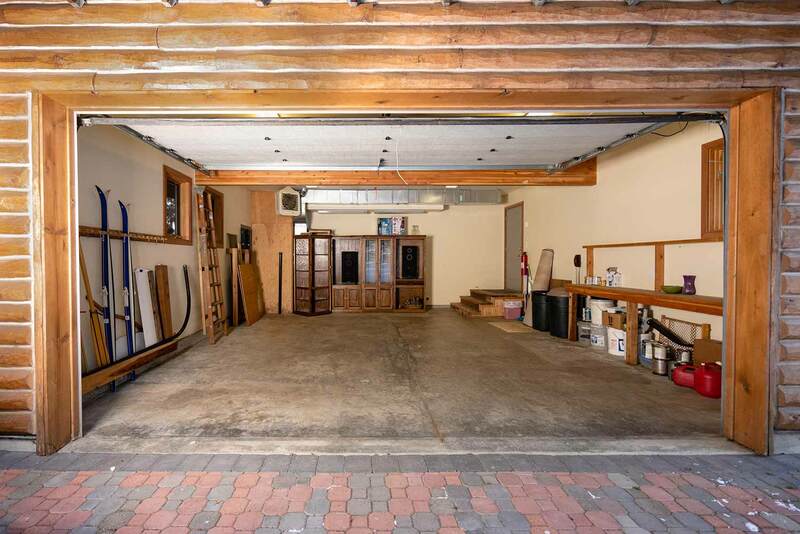 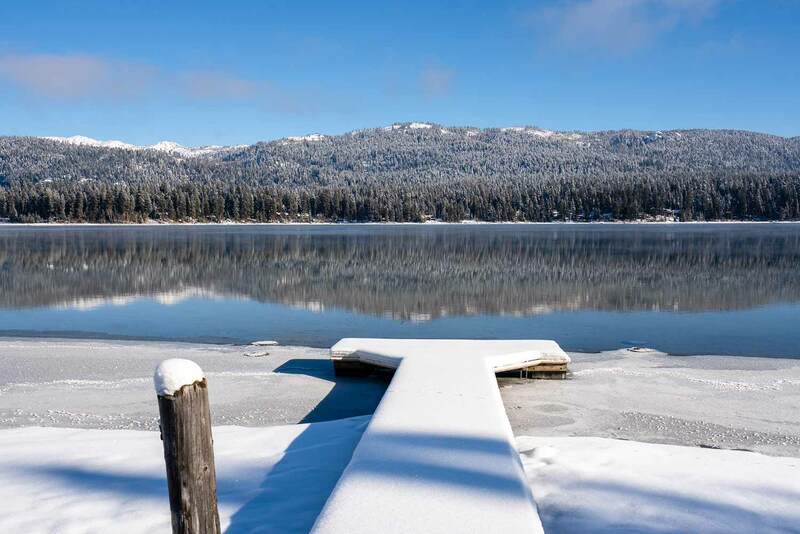 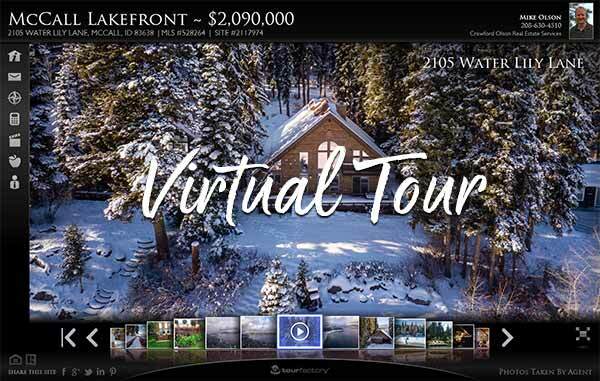 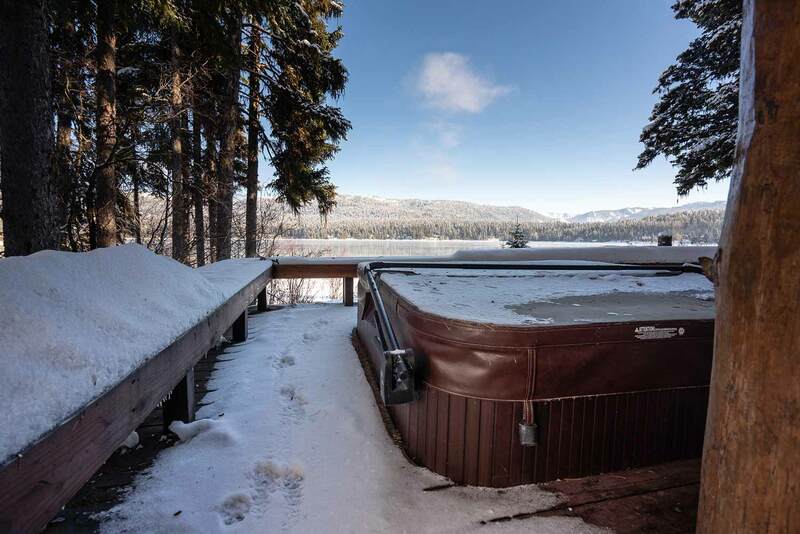 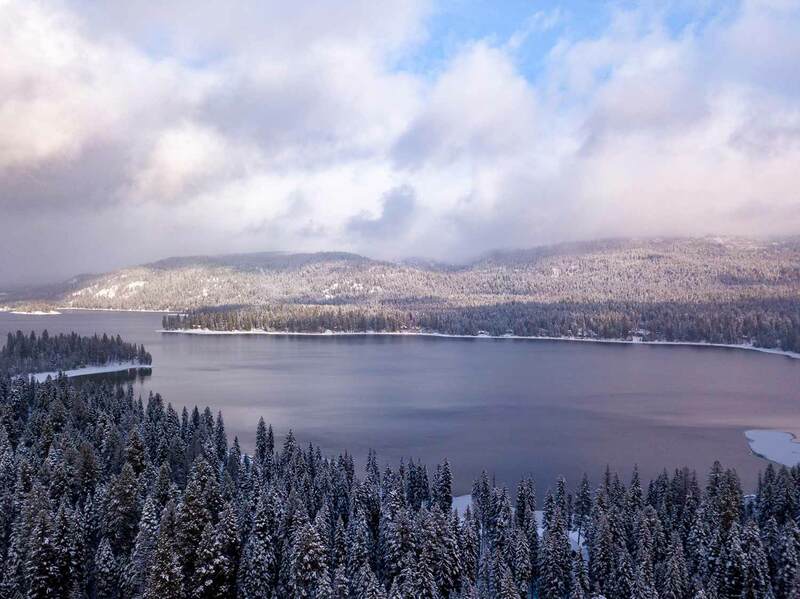 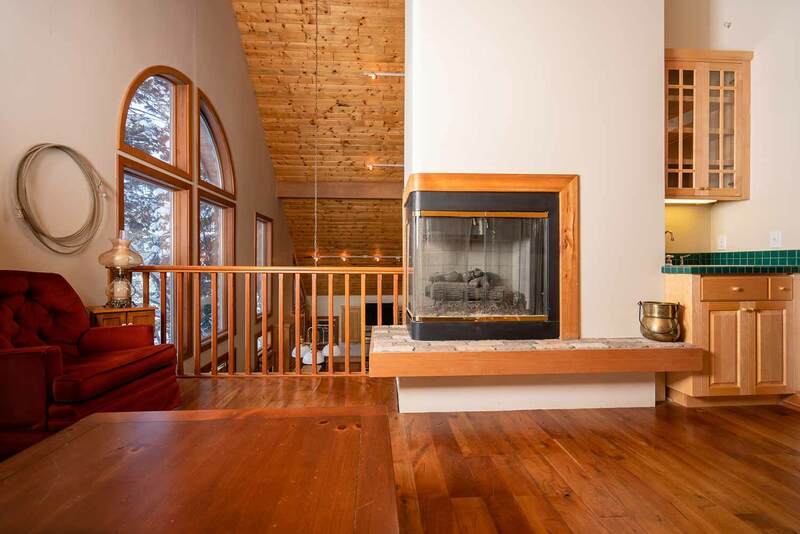 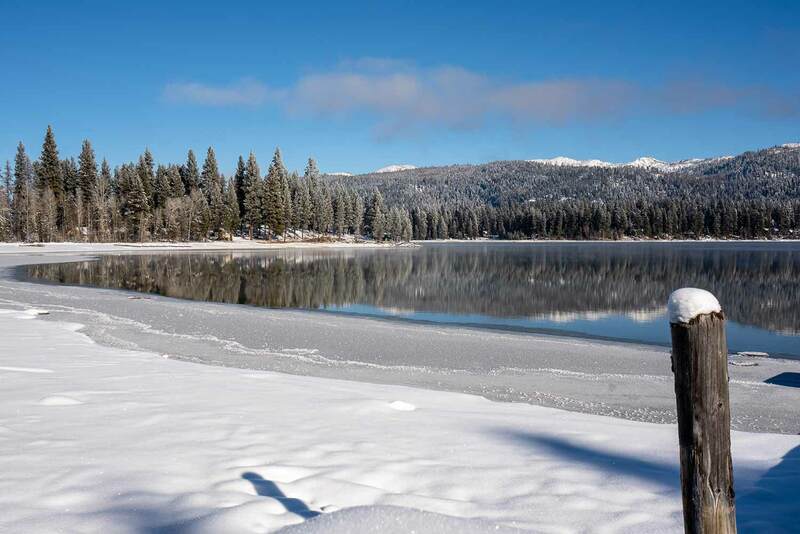 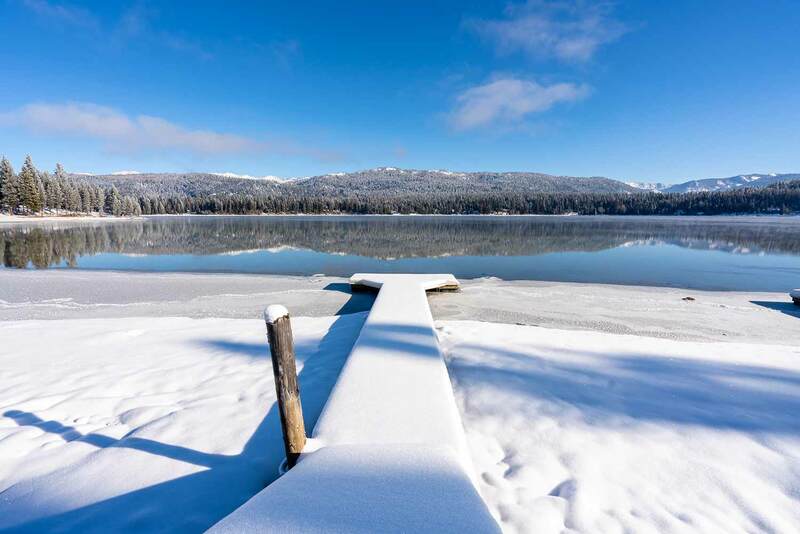 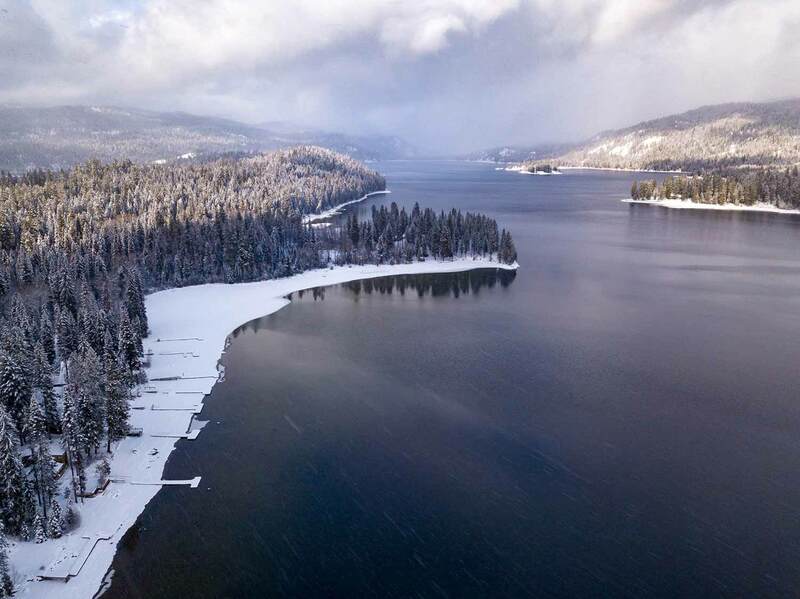 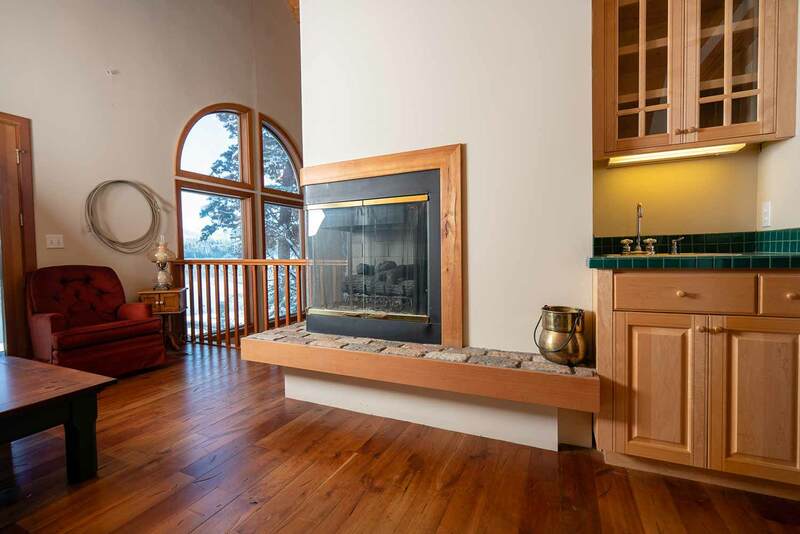 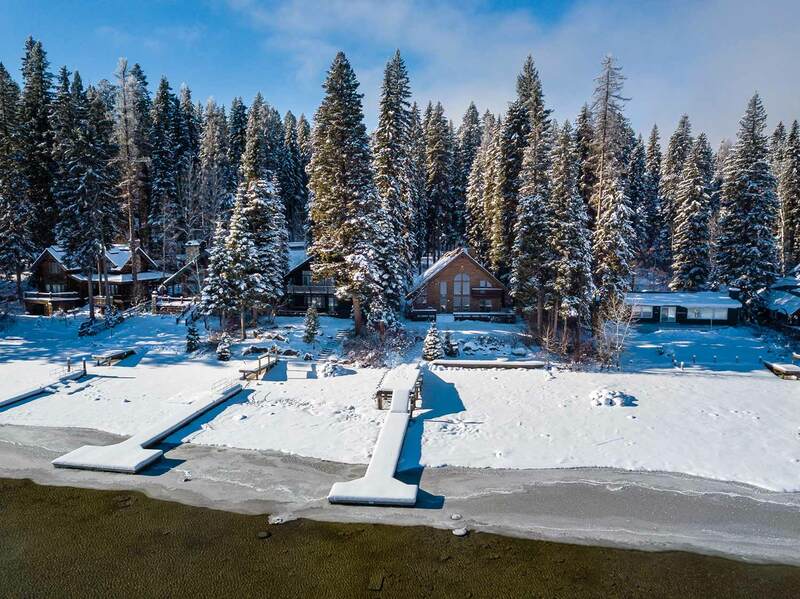 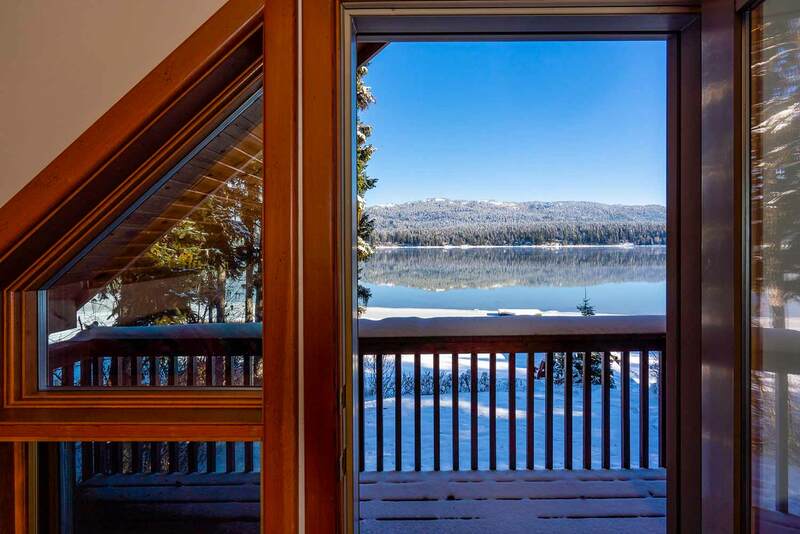 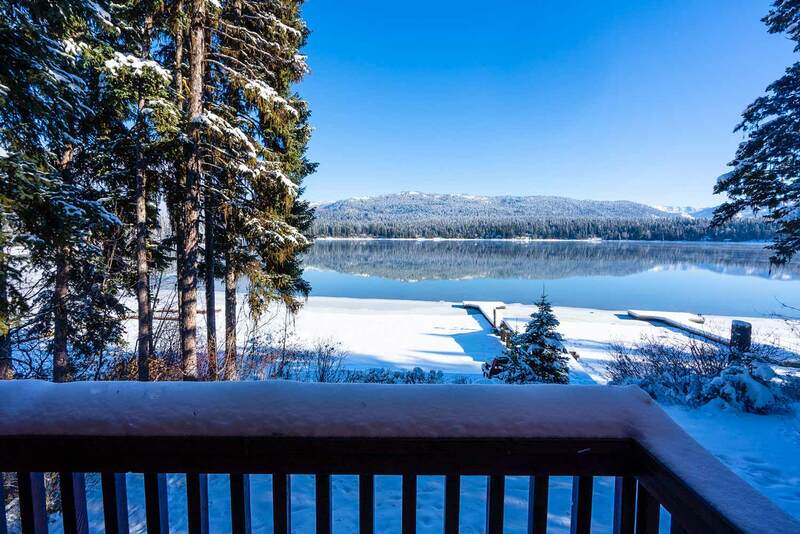 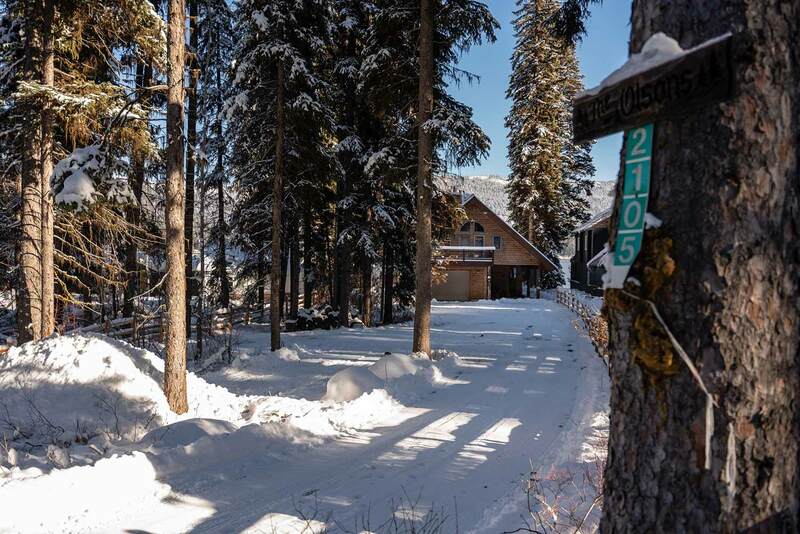 LOCATED IN HIGHLY DESIRED PILGRIM COVE • 72′ of Payette Lake Frontage • NO STATE LEASE! 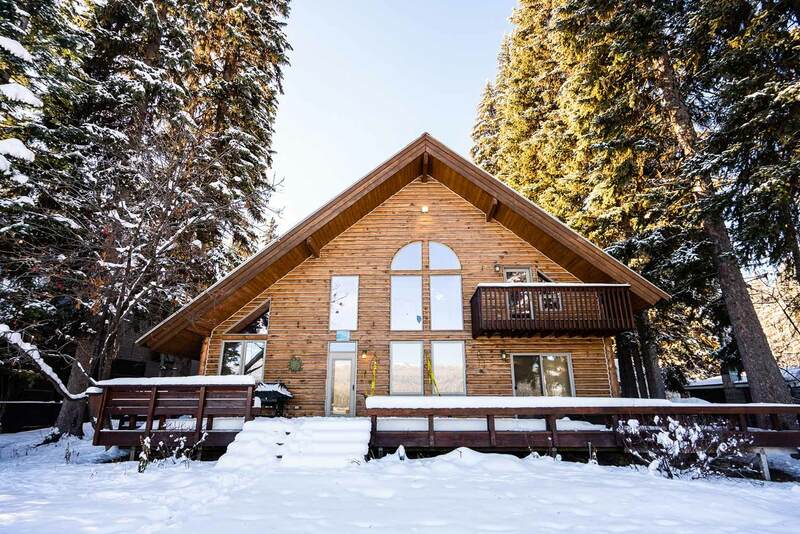 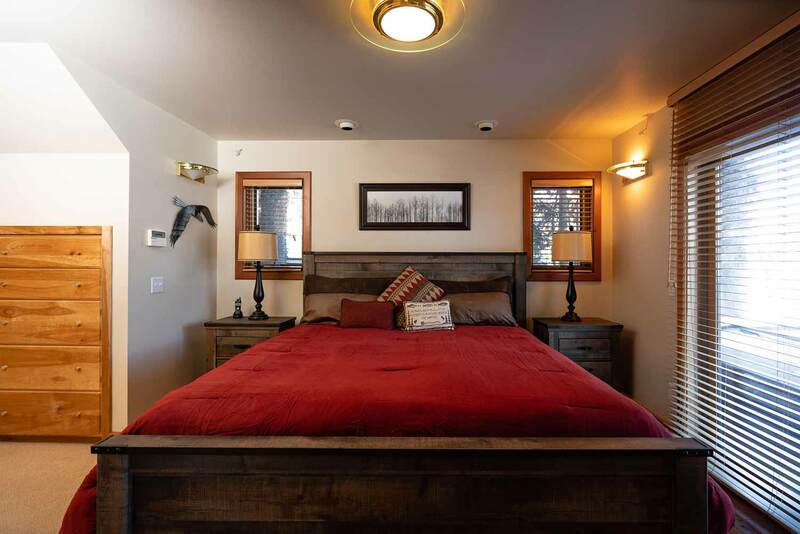 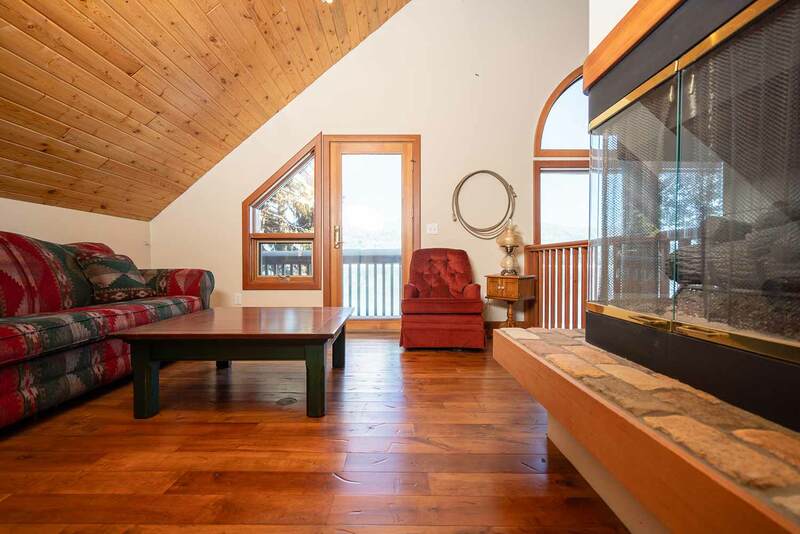 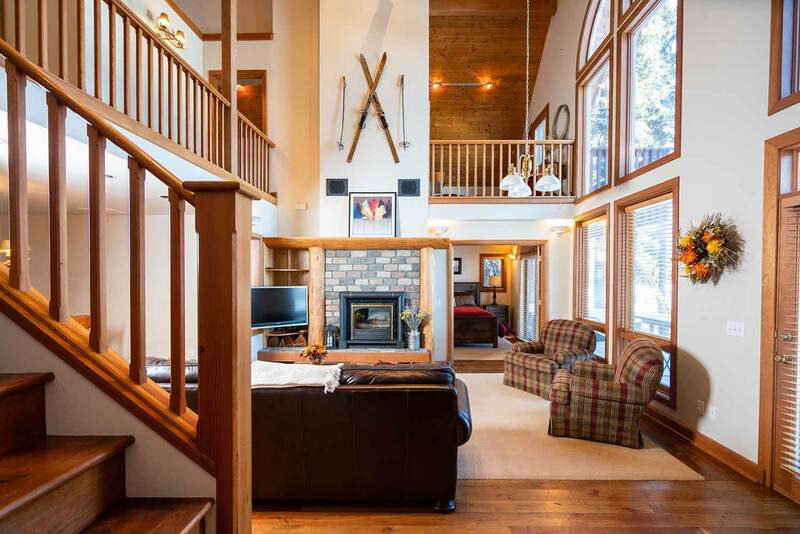 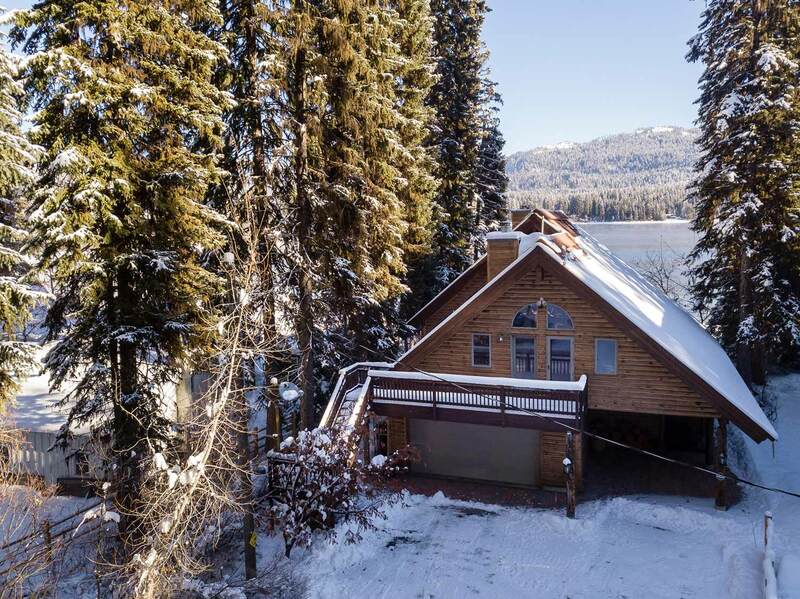 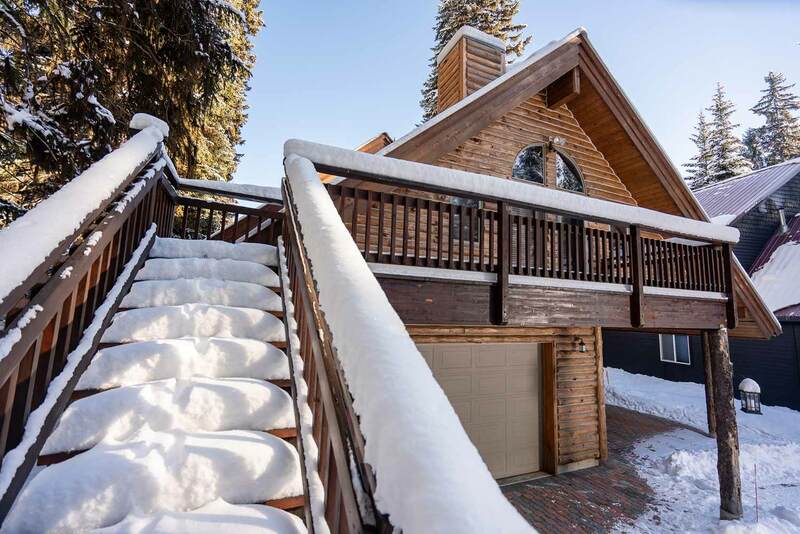 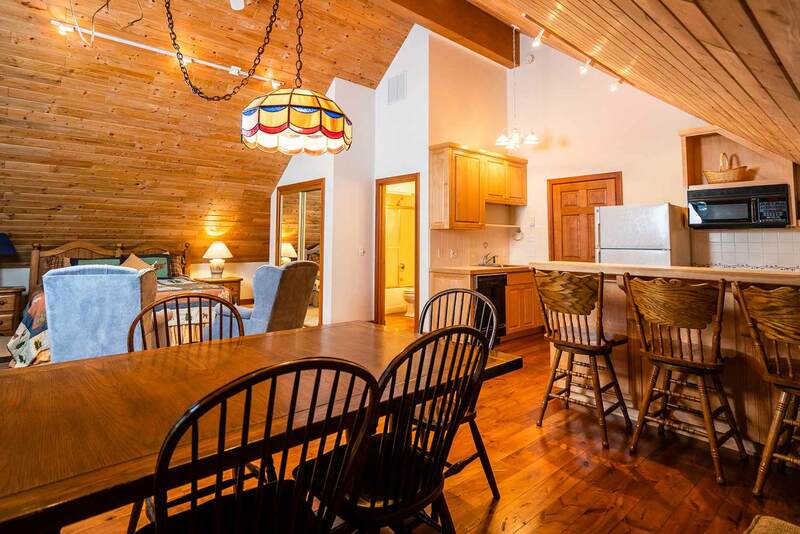 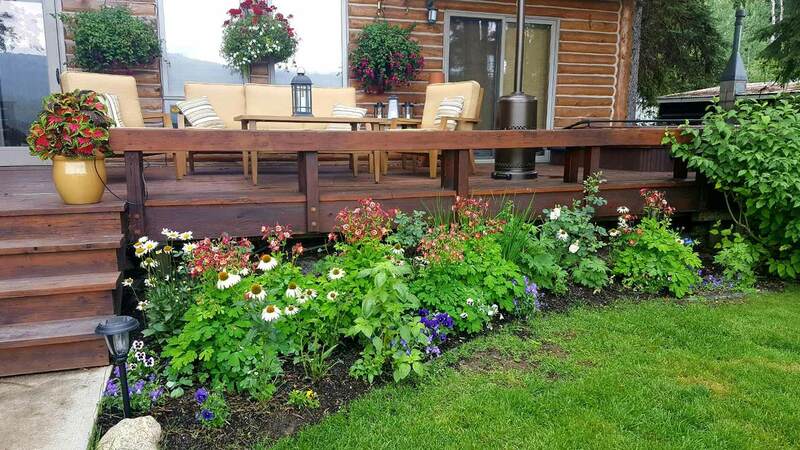 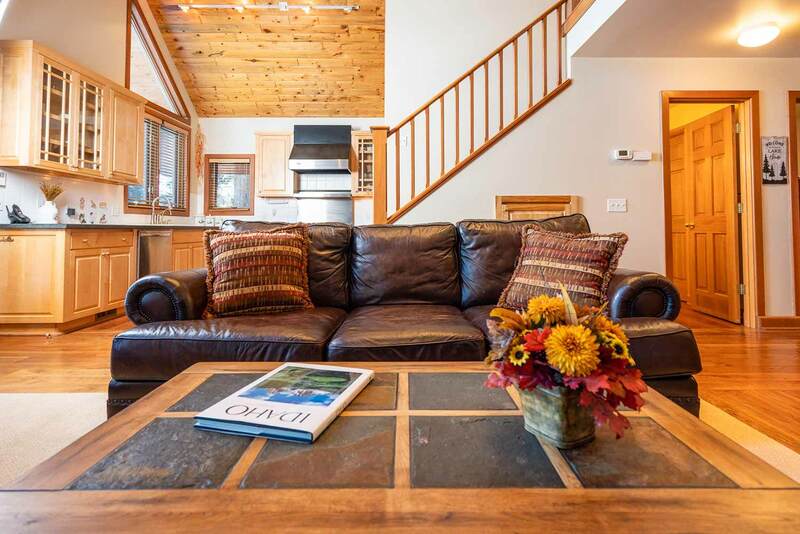 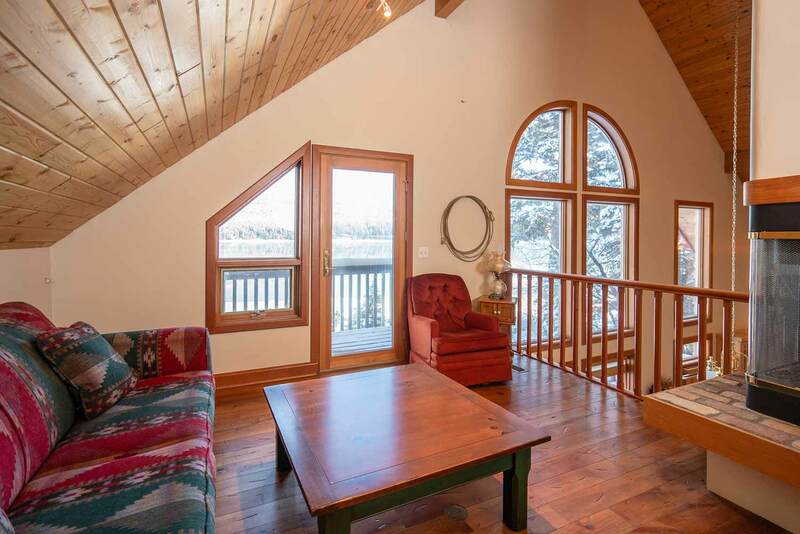 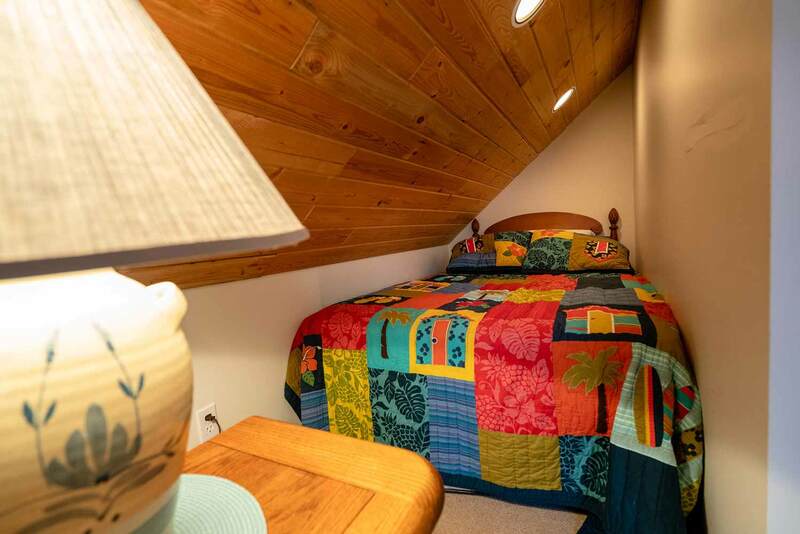 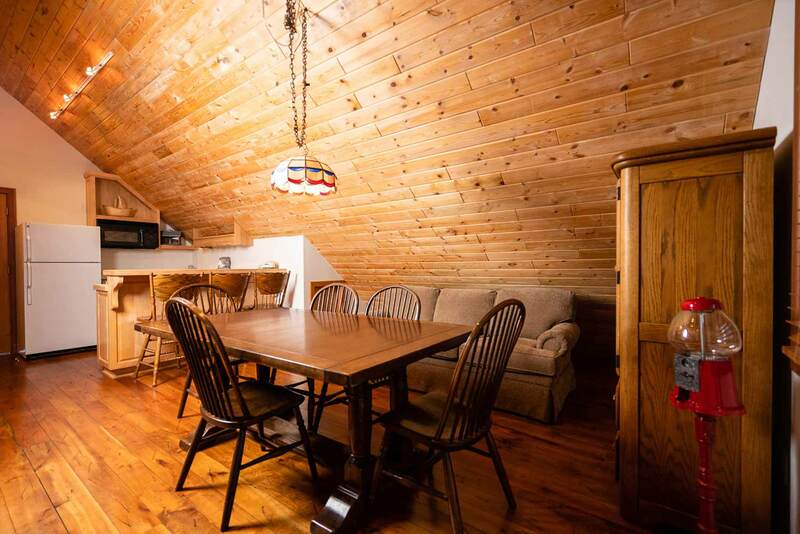 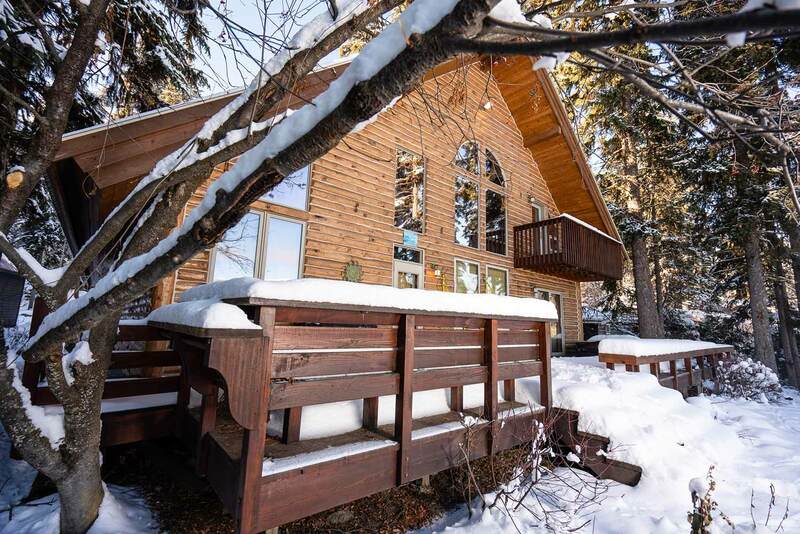 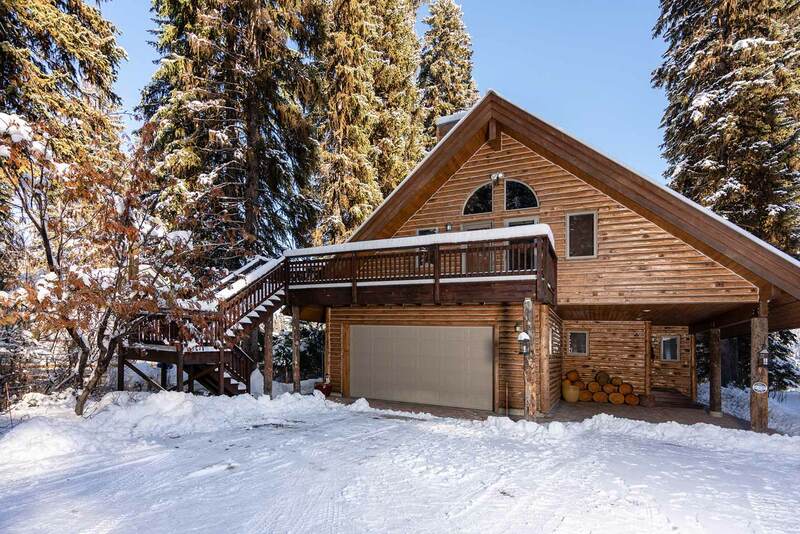 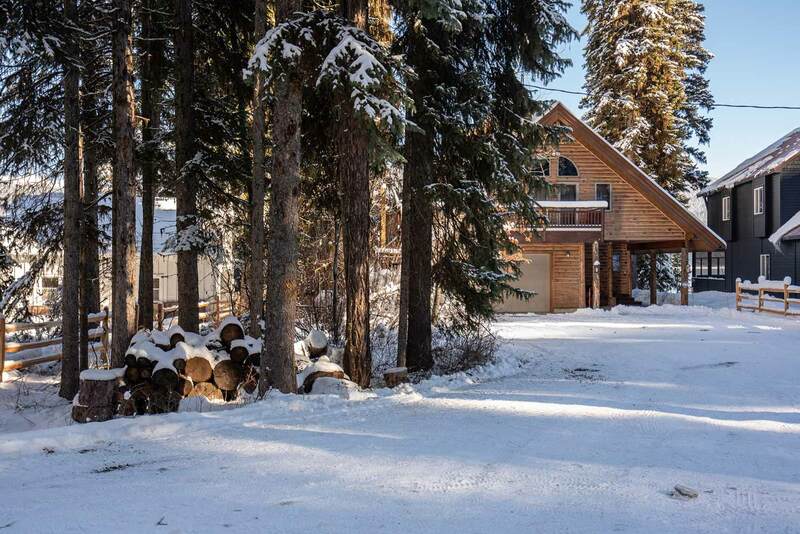 McCall Payette Lakefront Cabin in desirable Pilgrim Cove. 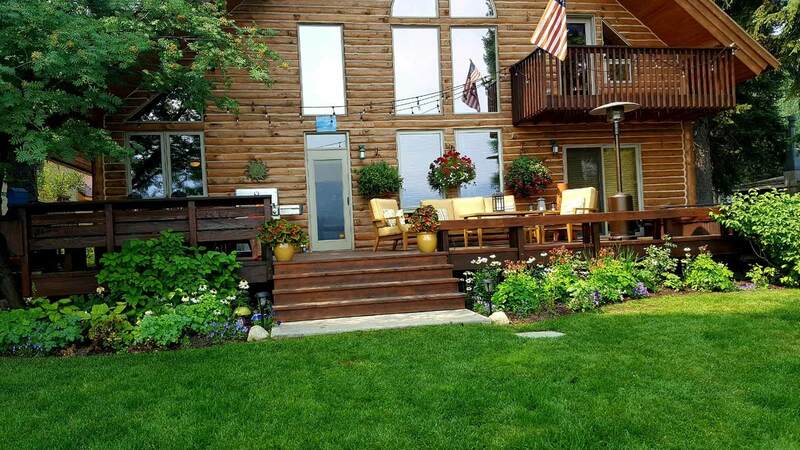 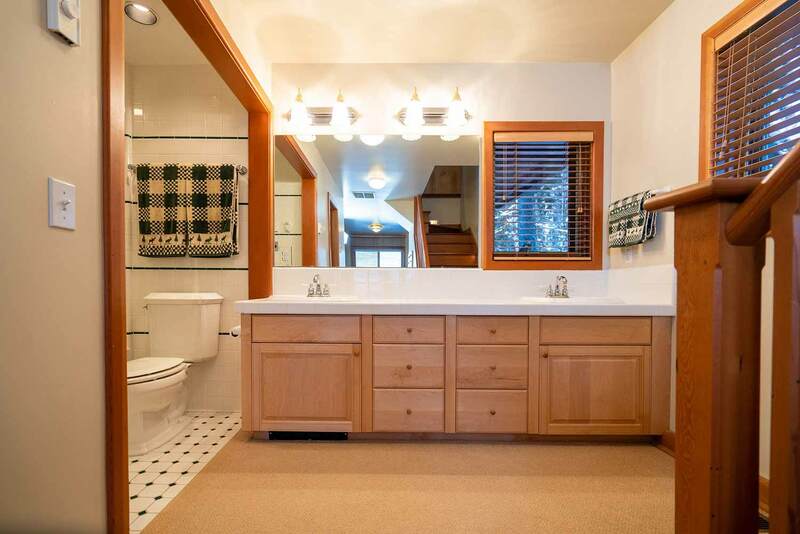 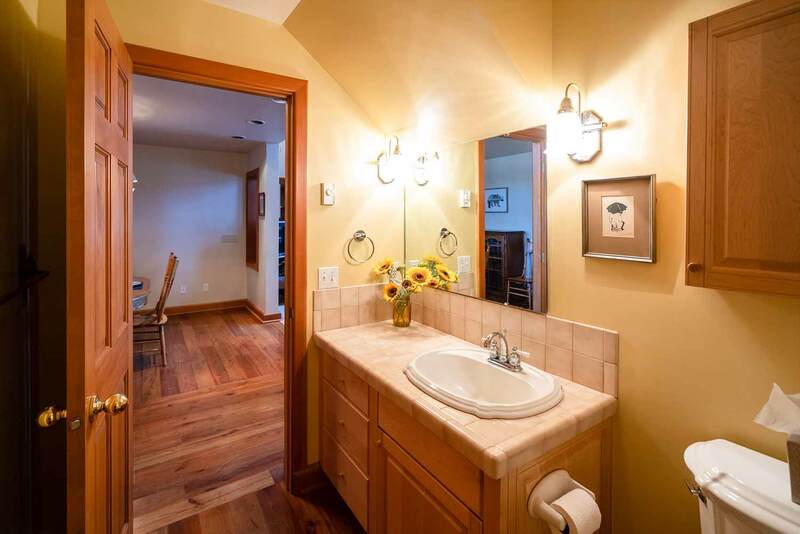 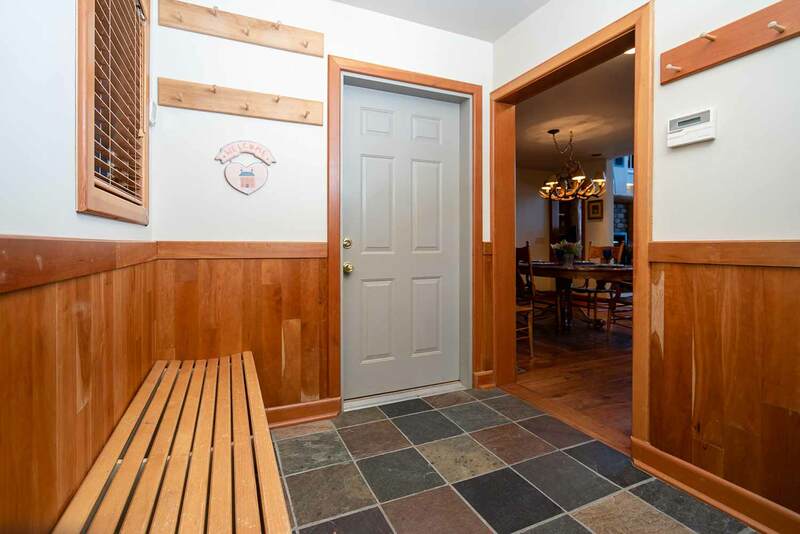 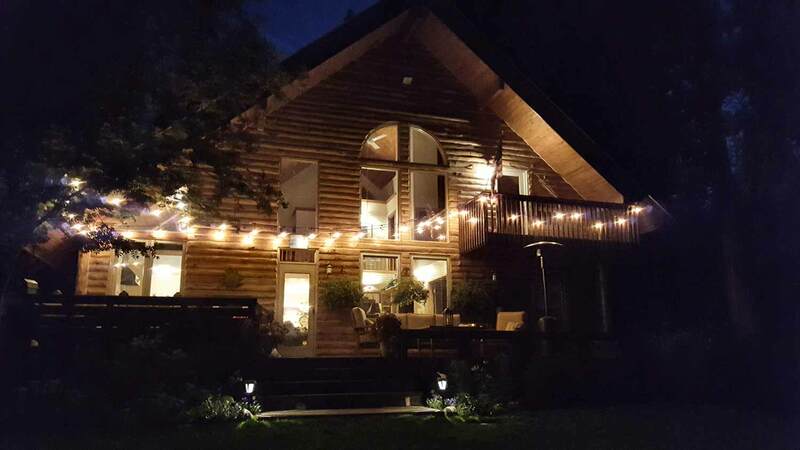 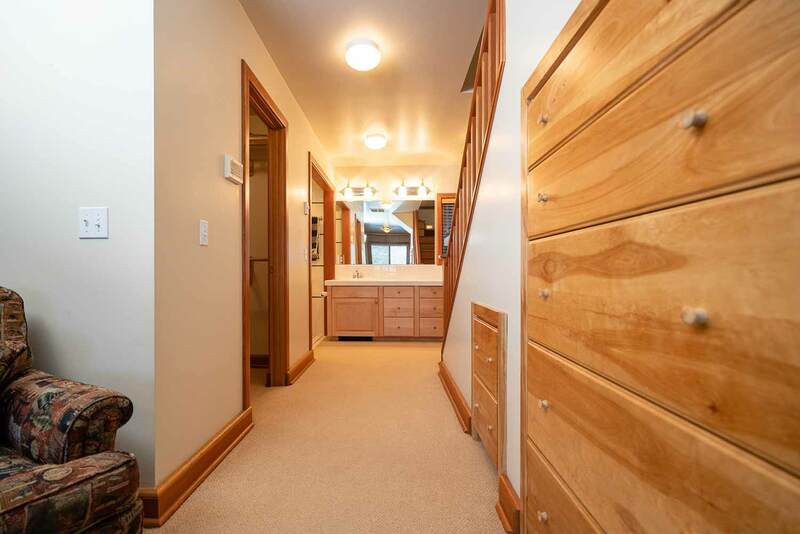 Custom, craftsman style, 4 bedroom, 4 bath, 2-car garage, home w/ 72′ of lake frontage. 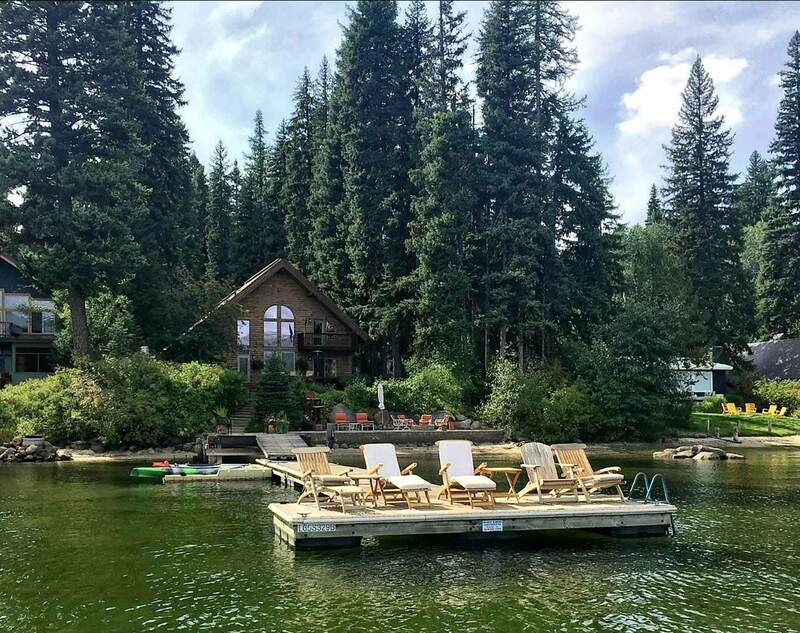 Exterior features mature evergreens, private back deck, hot tub, level lawn, pavered patio area w/ fire pit & sandy beach, all leading to your own “T” dock. 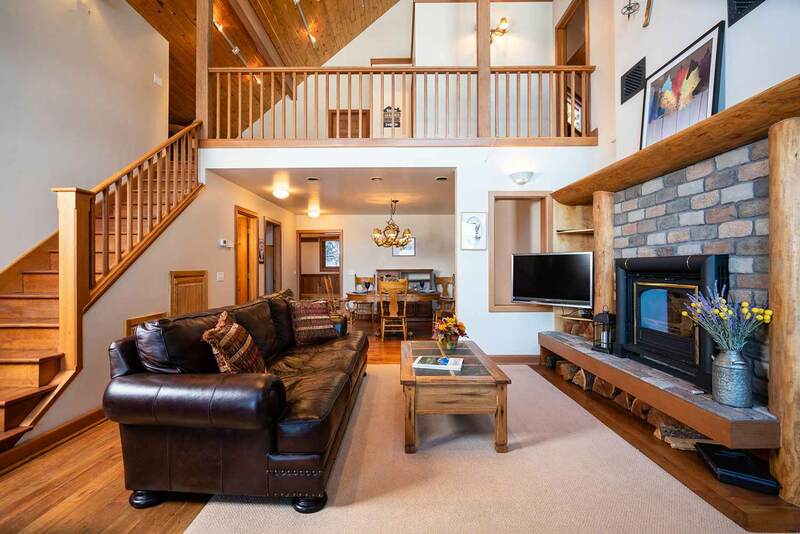 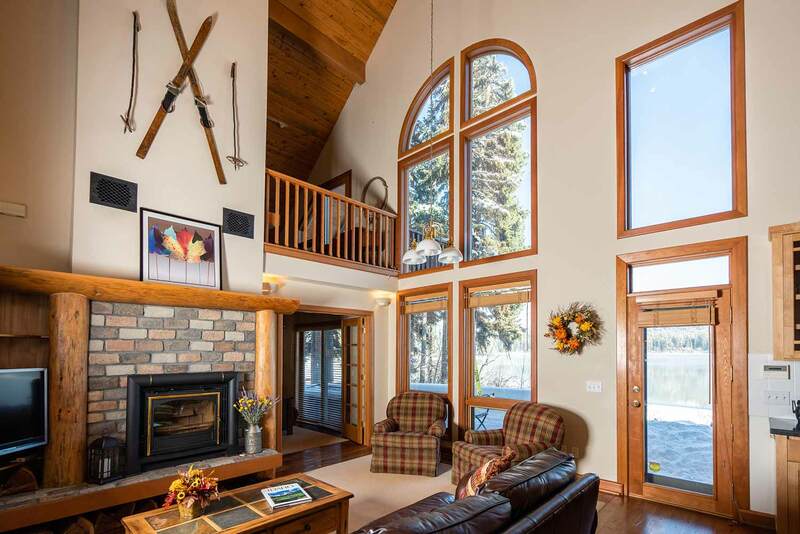 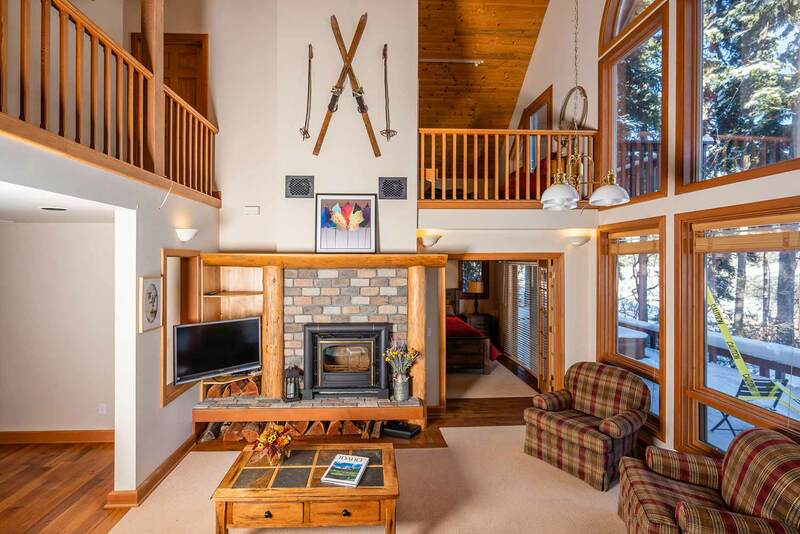 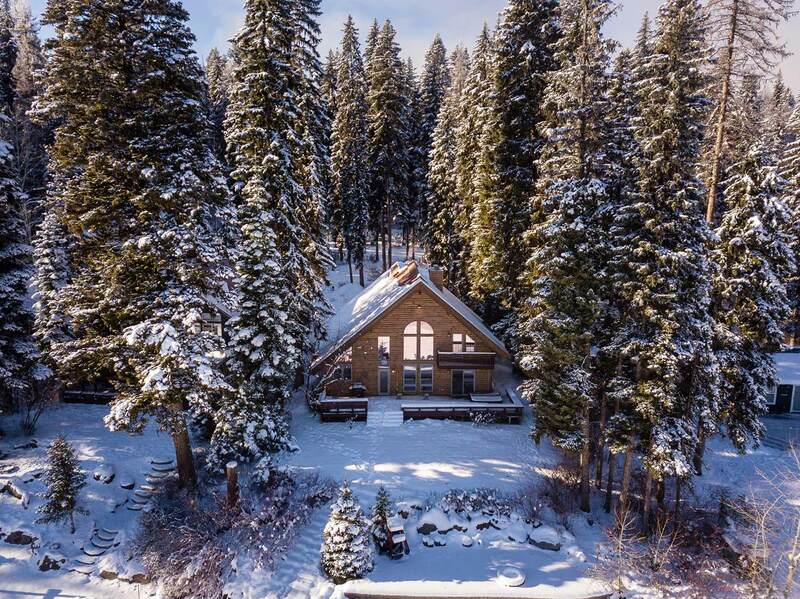 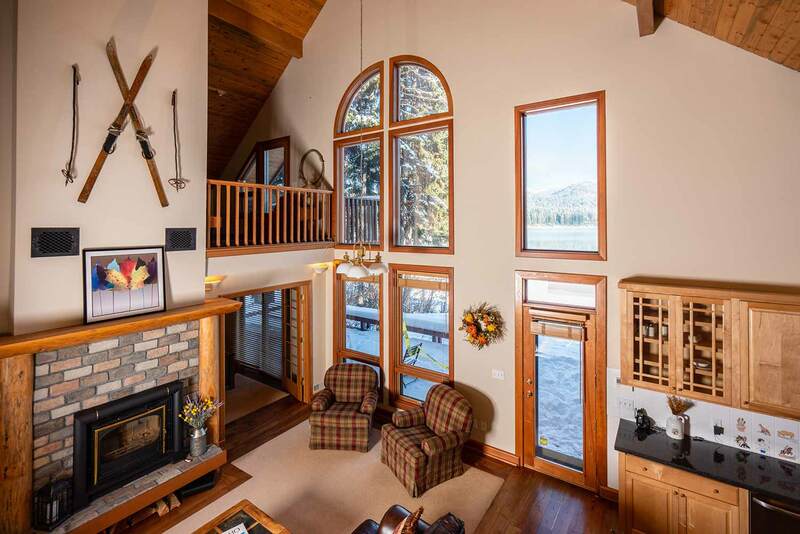 Impressive two-story living room, wood burning fireplace & tall windows take in the spectacular lake views, makes this the ultimate mountain retreat getaway. 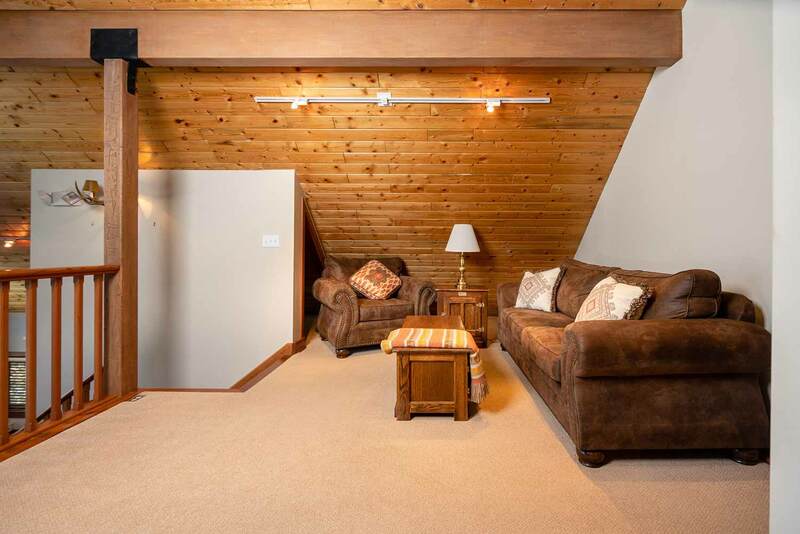 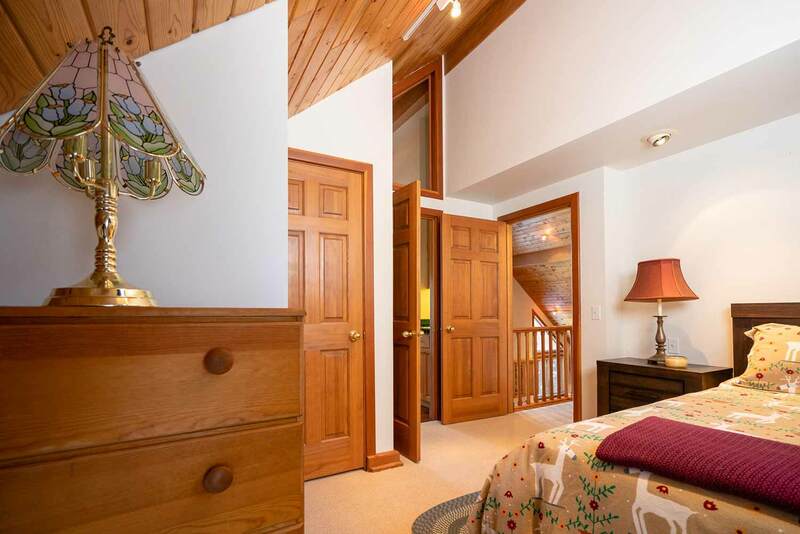 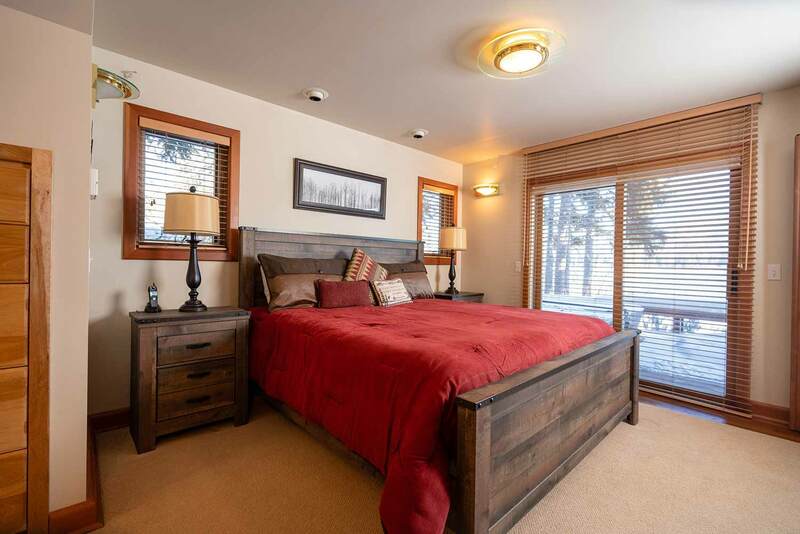 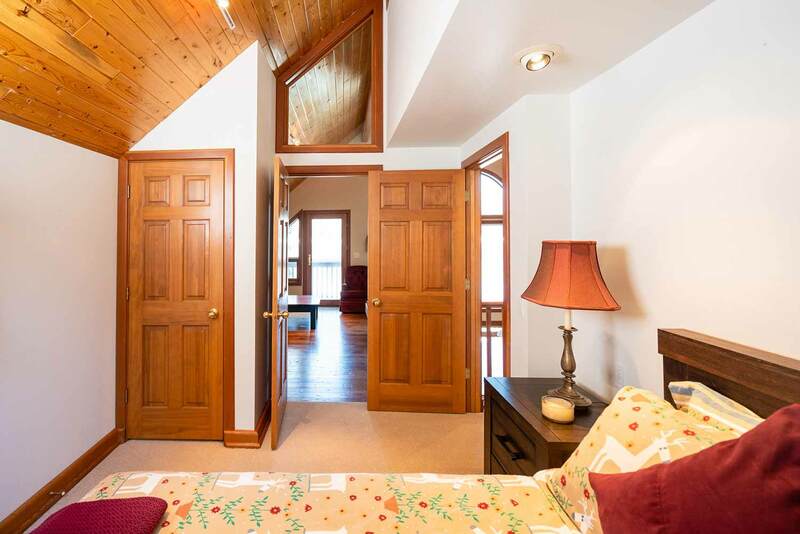 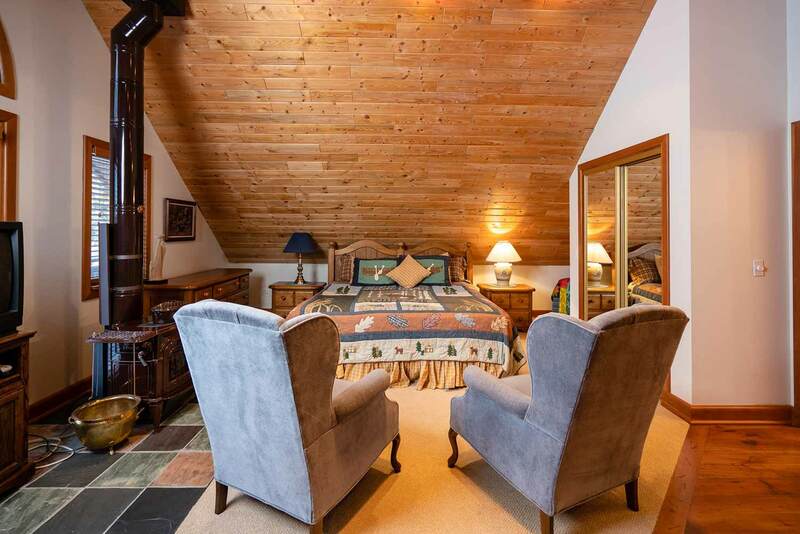 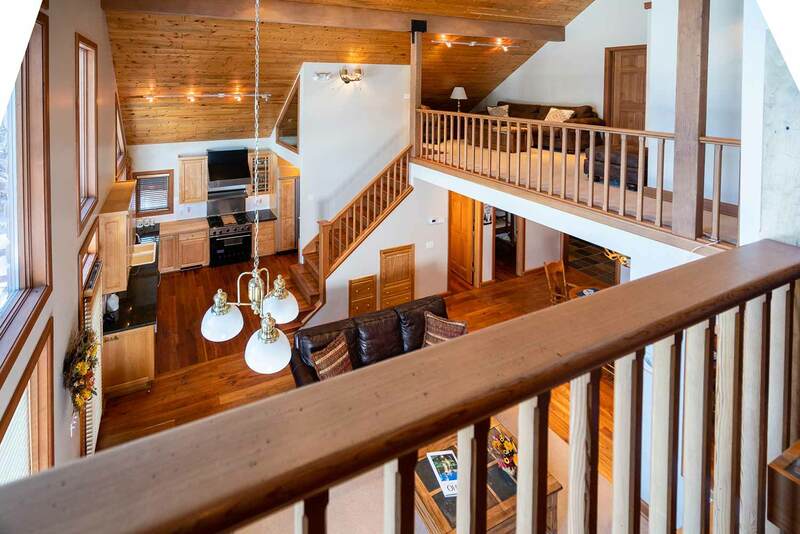 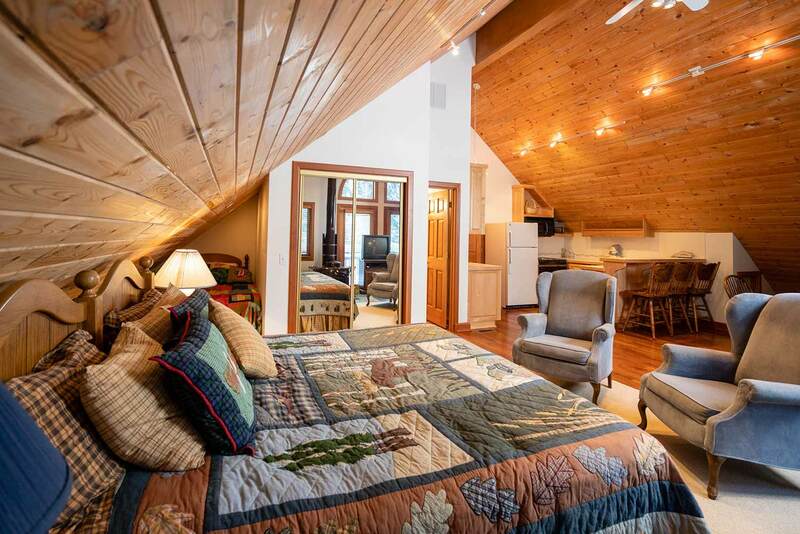 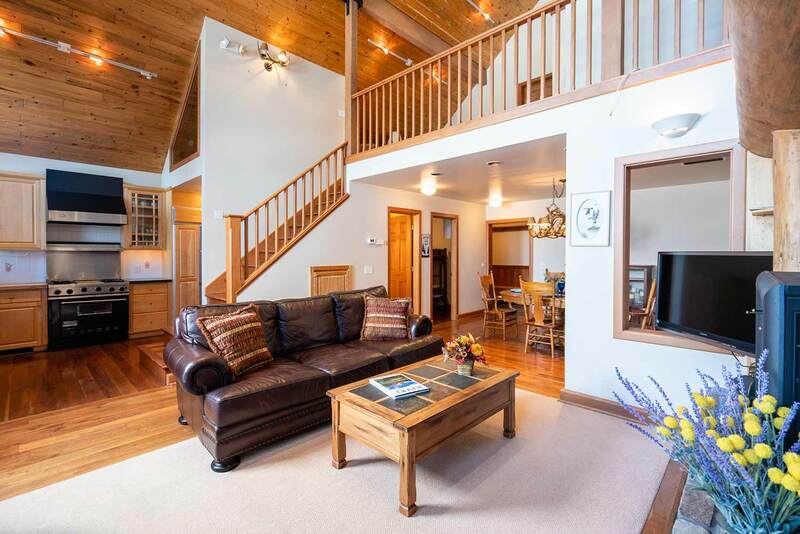 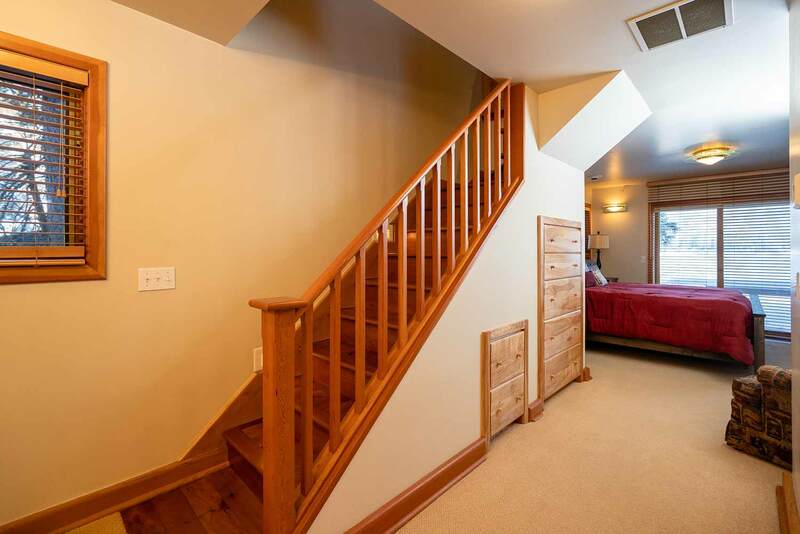 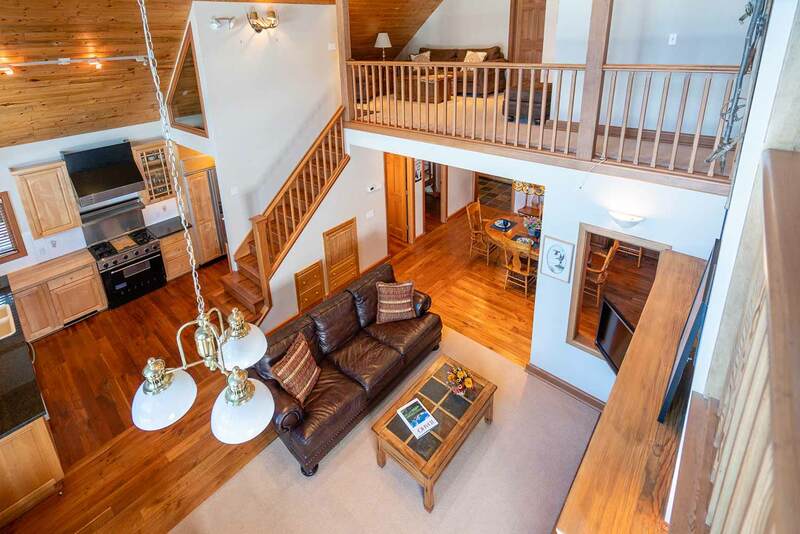 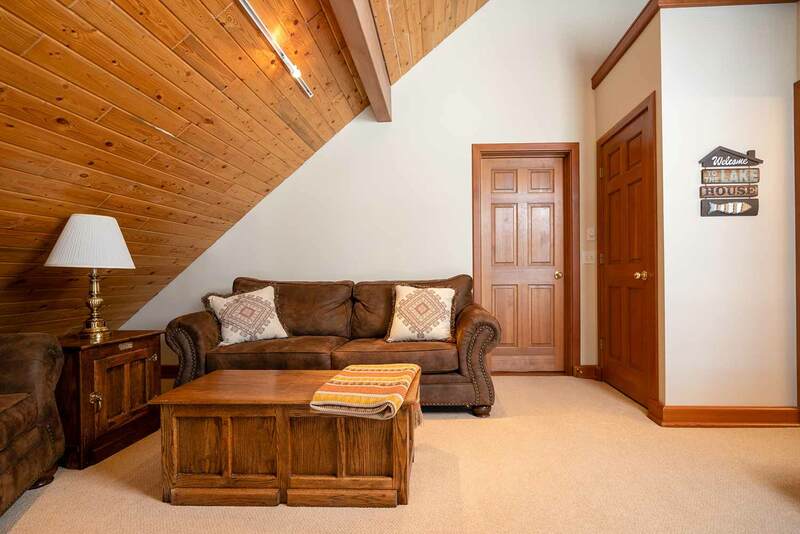 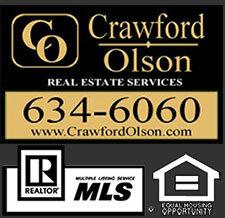 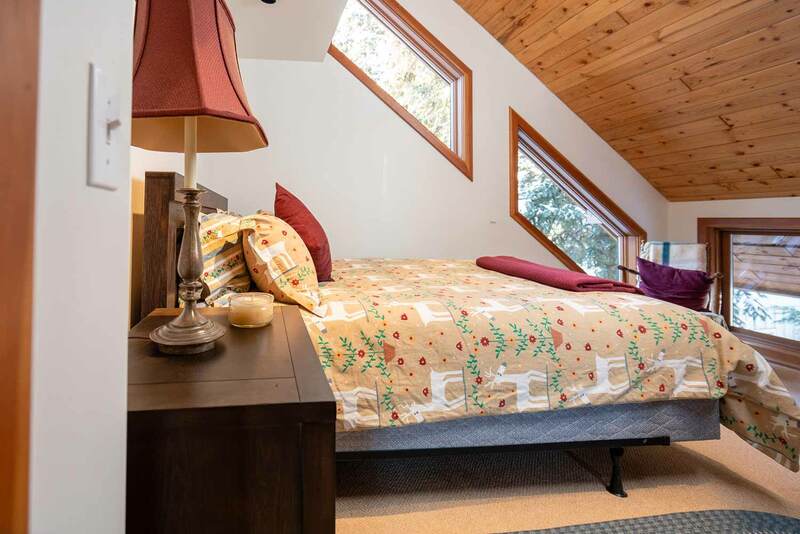 Main level Master Bdrm w/ lakeside entrance, separate sitting room upstairs, bathroom w/ steam shower. 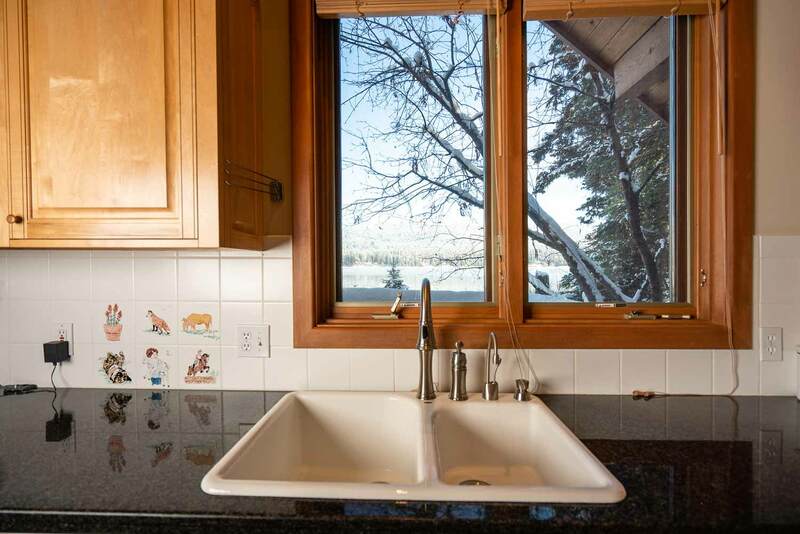 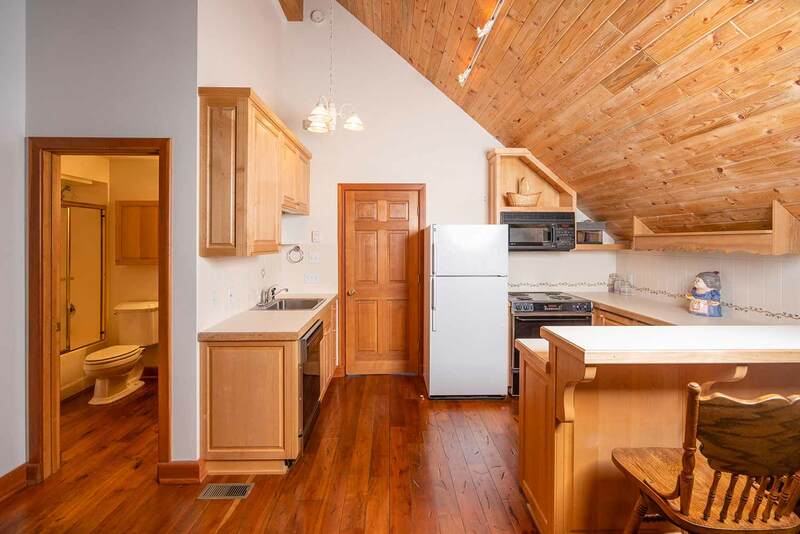 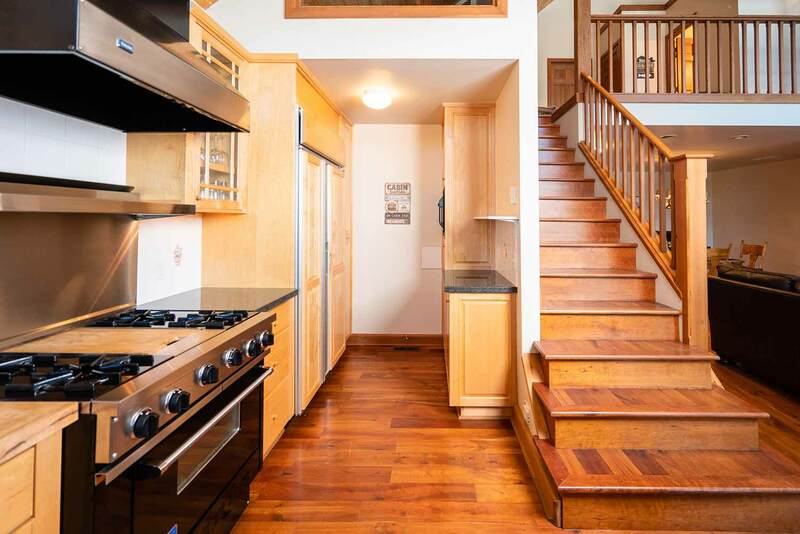 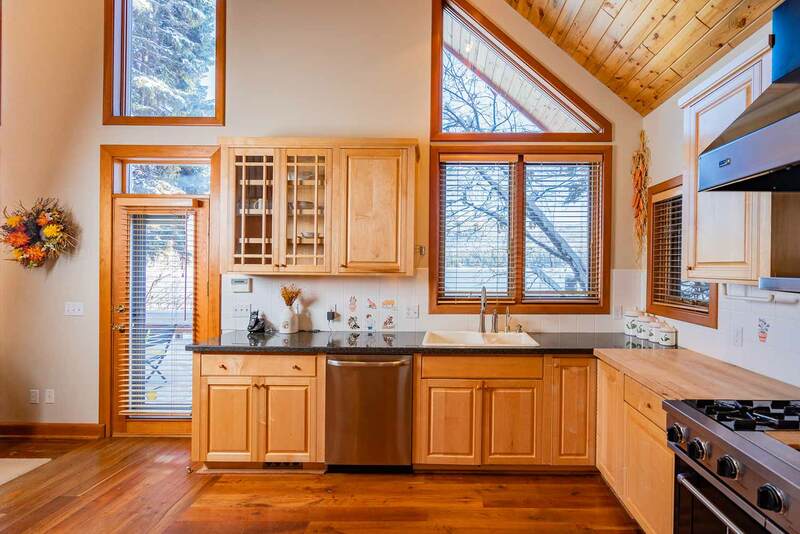 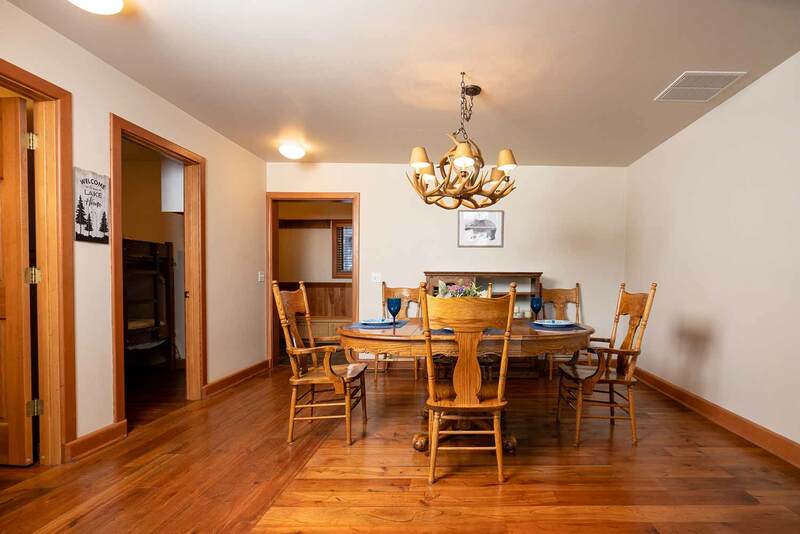 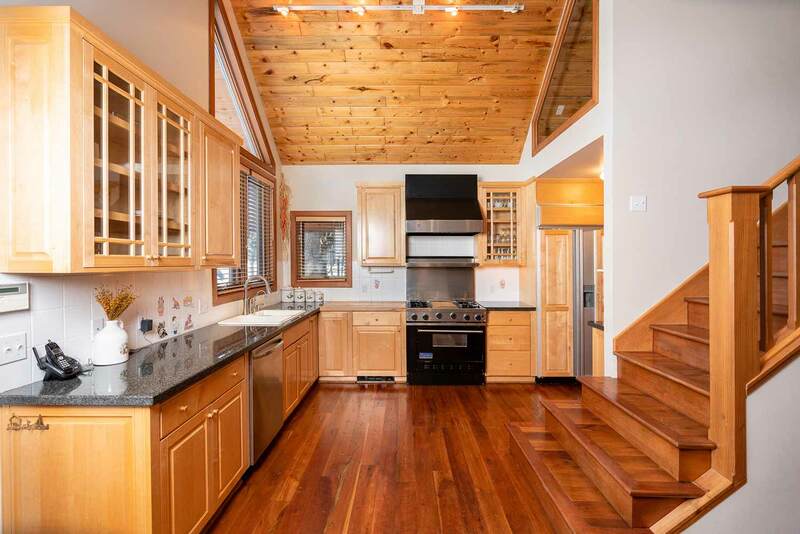 Kitchen is appointed with granite counters, sub-zero refrigerator, and Viking stove. 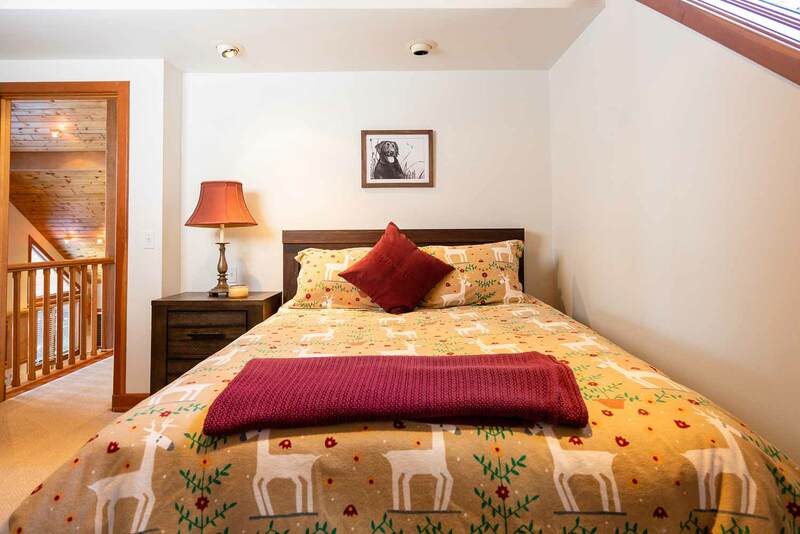 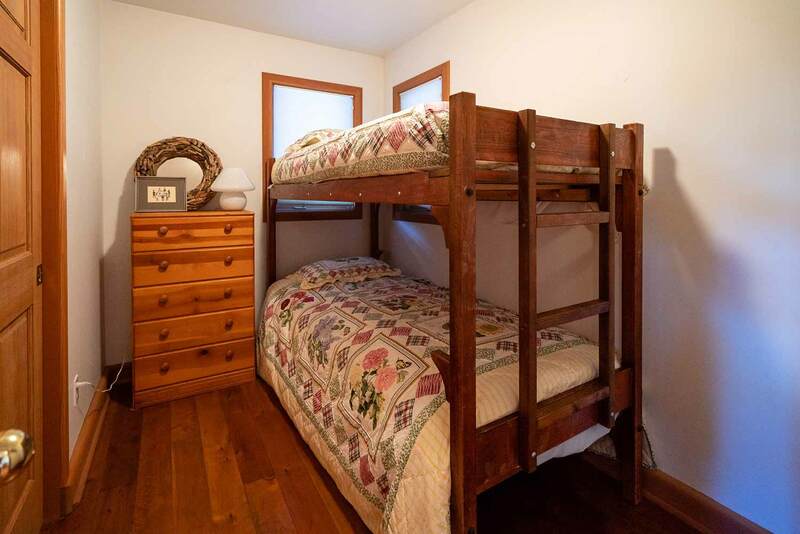 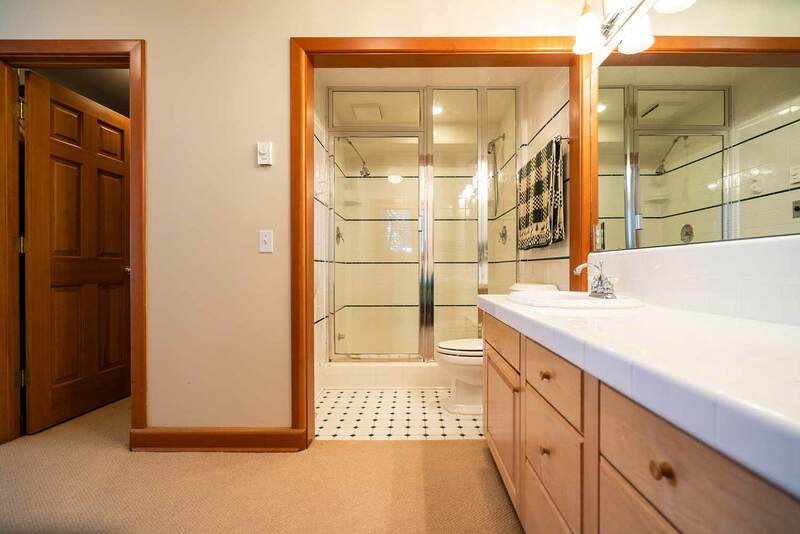 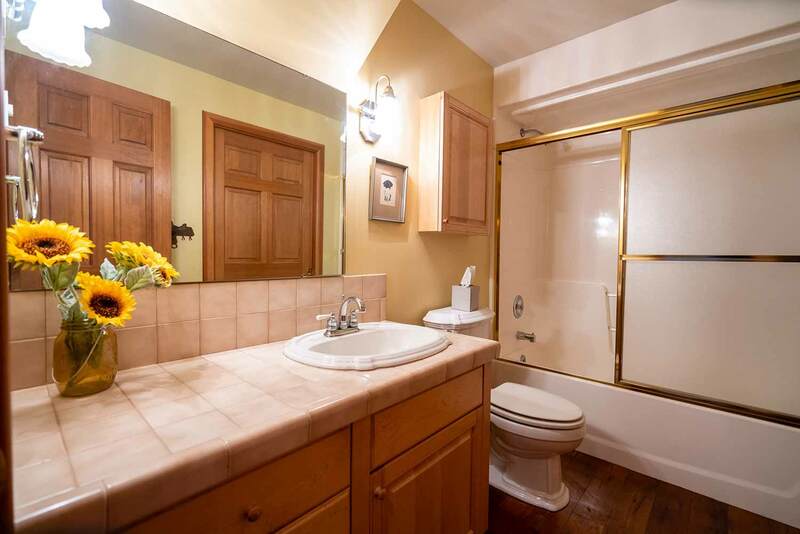 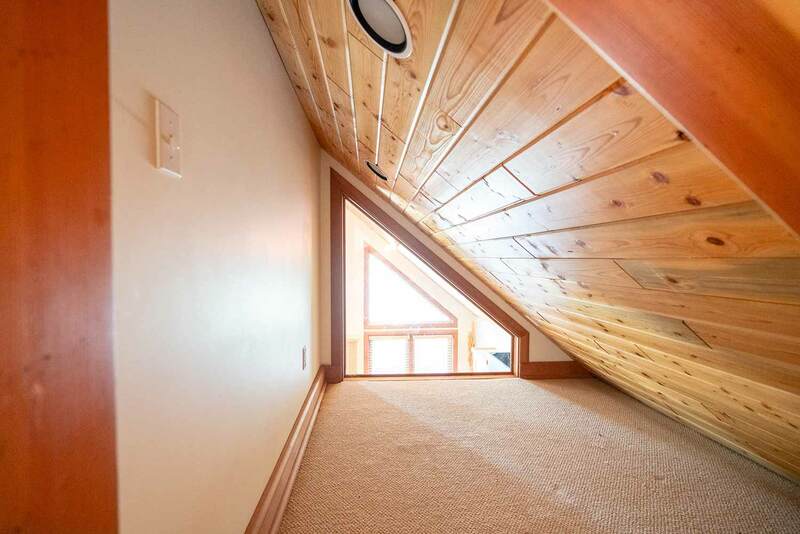 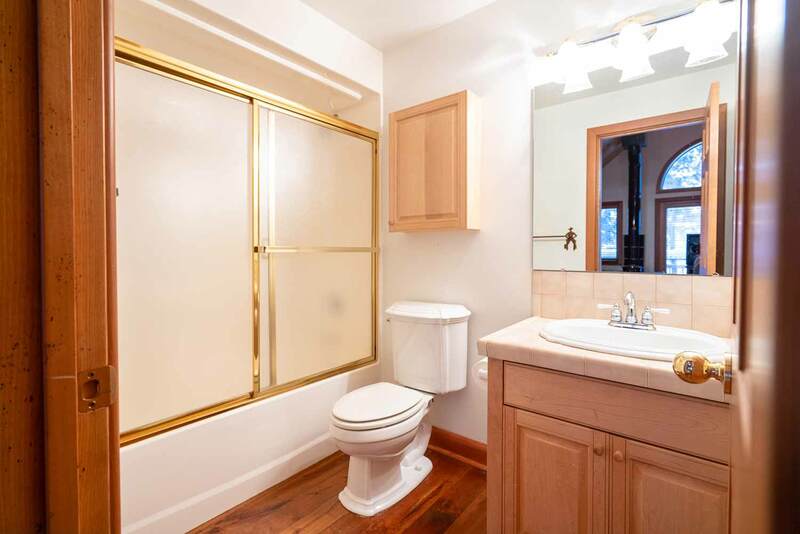 Private studio apartment upstairs with kitchen, bathroom & exterior entrance, great for guests. 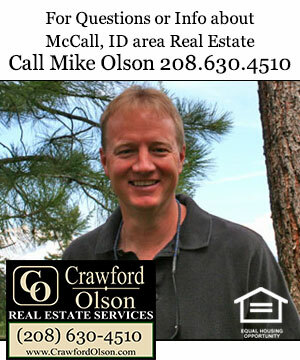 Remote access HVAC & Alarm systems.